As a Freshman at the University of Alabama, I pledged a sorority. One of the major perks? Having home cooked meals even though you're 8 hours from home. Miss Lily was our chef. And my goodness, could she cook. I practically sprinted to the house each time she was to make her poppyseed chicken. When I left Alabama I had to find something to satisfy my poppyseed craving. So, I started flipping through my cookbooks. And thanks to an old church cookbook, I found this recipe and over the past few years I've perfected the proportions. 2. While chicken is baking mix together 3/4ths of your jar of sour cream. Yes, just 3/4ths of it. Trust me. 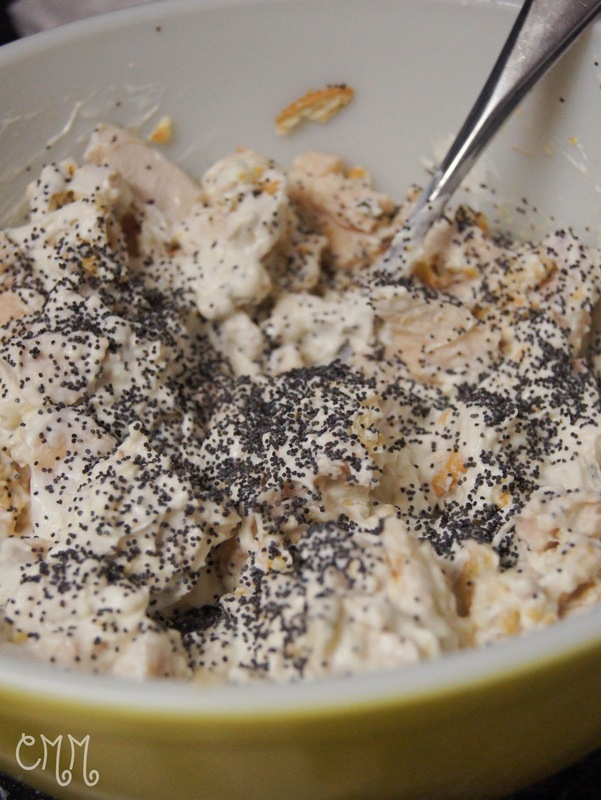 Now add the entire can of cream of chicken. 3. 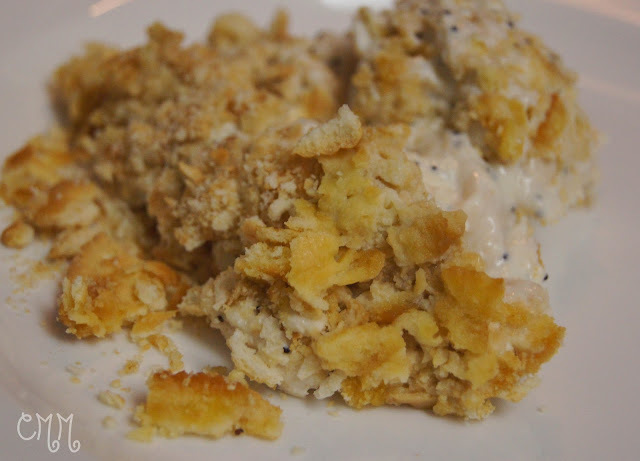 Crunch 1/2 roll of crackers and add to mixture. 4. Once chicken is done cooking shred it, slice it, dice it, whatever you like. Then add it to your sour cream mixture. 6. Stir together and place in your casserole dish. 7. 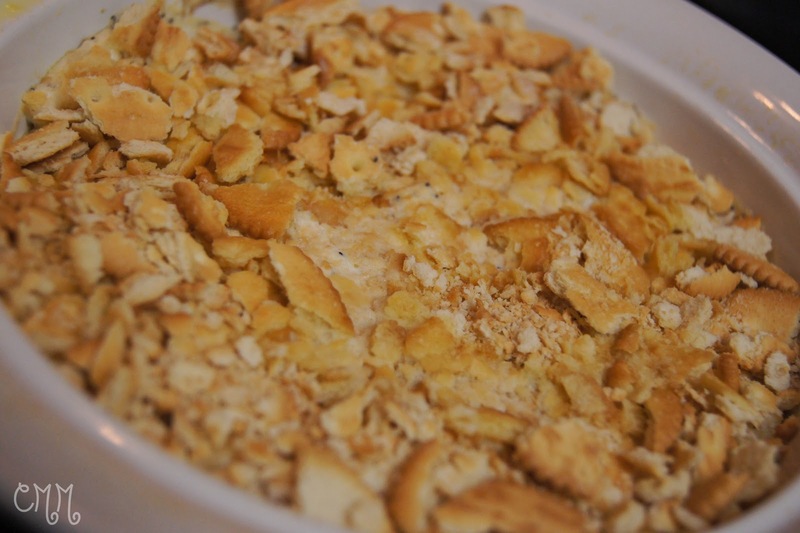 Crush remaining crackers and sprinkle on top of casserole. Finish it off with a few pats of butter. 8. Bake at 325 for 20 minutes and enjoy! This is a must try meal. It's quick, comforting and so scrumptious. What more could you want? I Want to be a Boy Mom - End. Of. Story. It's Party Time: Theme Reveal!